Foreign Financial Risk Emerging – Are Pharmaceuticals Hitting the Skids? CreditRiskMonitor's proprietary FRISK® Stress Index recently indicated a spike in credit risk for the pharmaceutical manufacturing and drug delivery industry. In addition to weakening financial performance, certain companies with the pharmaceutical preparation industry are being negatively affected by high leverage and increased regulatory risk. These problems are impacting companies that exist both domestically and internationally. To put it bluntly, if you are a business customer, supplier, or partner with a company in the pharmaceutical manufacturing and/or drug delivery industry, you need to stop and examine your credit risk exposure. More than 35% of the Fortune 1000 use CreditRiskMonitor’s service to do just that, with their research actions improving the accuracy of the proprietary FRISK® score. The FRISK® score predicts the risk of financial distress over the following 12 months, effectively flashing warnings signs that you shouldn't ignore. Endo International's integrated business works on developing and selling both generic and specialty drugs from start to finish. Over the last few years, management at Endo International had been executing an aggressive business plan that involved a variety of acquisitions. The goal was to expand the drug company's product line, and in turn, generate higher sales revenue. Unfortunately, the moves didn't play out as hoped, with industry competition and other headwinds getting in the way. One of the biggest problems is that the company's high margin product portfolio quickly eroded, where gross margins were cut in half over the last three years, going from 61% to 30% on a trailing twelve month basis. That led to a massive incremental decline in operating income, even after backing out one-time items related to impairments and restructuring. The negative trends don't appear to be changing for the better either. During the third quarter conference call, CEO Paul Campanelli explained that volume and pricing pressure would in all likelihood continue. That's well and good, but those are "adjusted" numbers. Endo International now has fairly high leverage and a business model that's not performing nearly as well as it has historically. If we look at the raw data, the numbers aren't nearly as encouraging. For example, over the trailing twelve months through September, Endo reported approximately $563 million in EBITDA and $502 million in free cash flow. Given the net debt position of $7.73 billion, debt is roughly 13.7 times EBITDA and 15.4 times free cash flow. 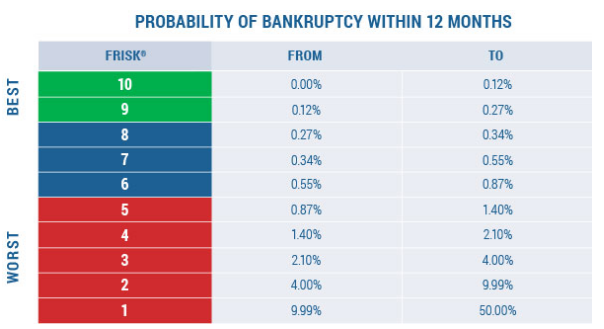 You won't find too many people surprised when a biotechnology company files for bankruptcy, since the financial risks are incredibly high due to the operational hurdles of research & development, FDA drug processing, finding a licensor, and so forth. However, heads are being turned by the credit risk developing in drug preparation space, particularly among the international operators. Endo International is an example of the type of company that counterparties need to watch closely. Although it appears to be weathering the storm right now, its financial risk is increasing. If the business' performance continues to spiral downward it will only get worse.